A culinary experience that was unlike any other I’ve had. 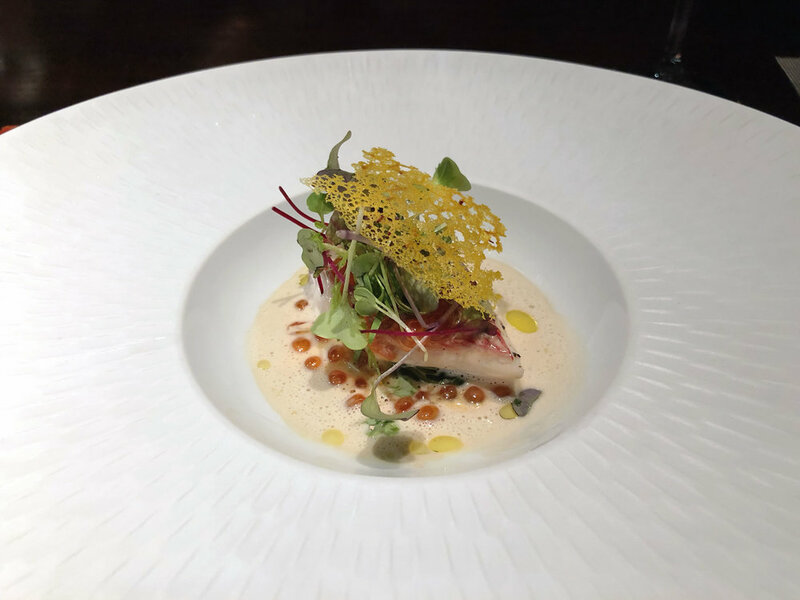 I was fortunate enough to eat at Vintage Cave Club with my family, an exclusive, high-end restaurant featuring cuisine prepared by elite chefs that is regarded as one of the best in Hawaii. Their slogan says it all: Hideaway Guest House For Oenophiles & Connoisseurs. Opened in 2012 by Japanese real estate billionaire Takeshi Sekiguchi, club members who would pay an annual fee in the thousands would go there to dine. It’s since been opened to the public (there are still club members), and has been dined at by President Barack Obama and Michelle Obama, amongst other notable figures and celebrities. The first points worth noting are its location and exterior, as pictured up top. It’s located in the darkest, least visited parking lot area of Ala Moana Shopping Center. Inconspicuously tucked between the pillars and parking stalls is its dimly lit red brick facade with a single black, metal door. This is where the experience begins. Ringing the buzzer, the host answers on the intercom before opening the door to greet you. Walking through the cellar-like foyer, a vibe that is consistent throughout, you get on an elevator that leads to the restaurant. The restaurant space is dimly lit and spacious, decorated with art like "Les Deux Femmes Nues" by Pablo Picasso, a Baccarat crystalware collection and a lot more. Besides the central dining space, there are a couple of small, semi-private nooks - one of which where we ate in, private dining rooms and a sushi counter. There's also a wine cellar stocked with the most exclusive wines, a locker room for club members to store their expensive bottles, and a bar with a selection that includes a 50 year old Macallan - $6,000 for a small pour. 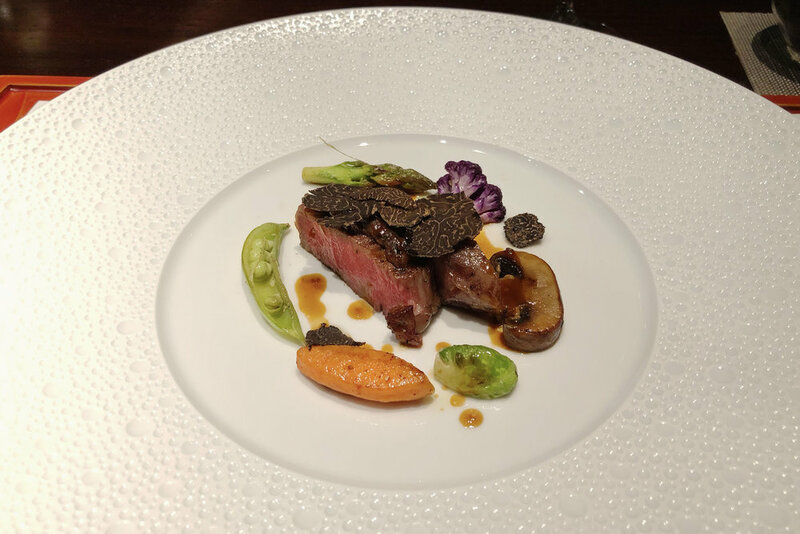 Our menu was the French Japonais Prix Fixe, a 10-12 course menu featuring Takanokuni Wagyu. While we got a deal, the course is priced at $300 per person, with tax, service charge and tip separate. Each dish was brought to us one by one, and the service was impressive throughout the evening. A few servers would come out together and in synchronized fashion, place the dish in front of each of us at the same time. Our lead server was very professional, not at all stiff, and personable in the perfect amount. Here's everything that was served. 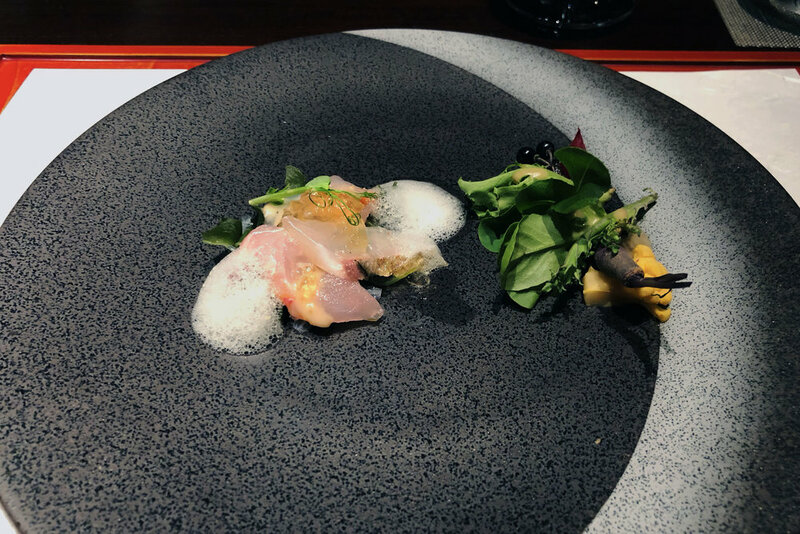 One thing worthy of noting is that while the food itself was nicely arranged, the dishes they each were served on were art pieces in their own right, making the presentation that much more amazing. The meal was just about perfect in every way, and everyone finished just the right amount of full. Would I have taken more if it were an all-you-can-eat buffet? Sure. But it wasn't that kind of dinner. Everyone finished satisfied. After the meal, our server offered to take us around on a tour of the restaurant, explaining its history, approach, wine and art collection. She guided us back in the elevator and walked us out, concluding our experience at the Vintage Cave Club. A dinner with my family that I won't forget.